Mindfulness doesn’t just work when sitting in stillness. 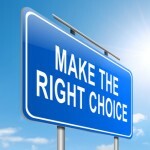 It’s also a fantastic tool for making key decisions, including high speed, “on the fly” decisions. Mindfulness can help you filter out mental chatter, weigh your options objectively, tune into your intuition and ultimately make a decision that you can stand behind completely. Start by getting in a mindful state. This takes anywhere between 15 seconds and 5 minutes. Focus on your breathing and be present in the moment. Observe all your thoughts, emotions and physical sensations that are present. Let yourself land in the here and now. Becoming mindful does a few things. First, it feeds more blood to your prefrontal cortex, which helps improve decision making. More importantly, it reduces the stress that often comes when making key decisions. Reducing this stress lowers cortisol levels, which helps give you access to your full mental faculties. 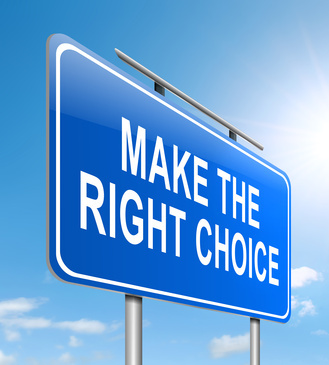 As you weigh your decision, pay attention to any outside influences that might be affecting your choices. For example, is there one decision that you think your boss would like more? Are you even slightly afraid of making a confrontational choice? If you’re not aware of these outside influences, they can exert an unintended emotional force on the decision making process. You could even end up making a decision that you don’t feel 100% behind, because you were influenced by outside forces. Be mindful in your thought processes and make sure you’re aware of everything influencing you before you make the call. Finally, listen to your intuition. It’s difficult to do this when you’re swept up by the momentum of the environment. Take the time to be still and be present – even if it’s only for a couple minutes. Come back to the breath. Intuition is often most noticeable as a physical sensation. It might be a “bad feeling” in your chest about one decision, or a feeling of excitement in your gut about another decision. Yet these subtle sensations can be difficult to notice if you have a lot of other things going on. That’s why it makes sense to take just a minute or two to come back to mindfulness and listen to your intuition. You’ll be able to make a much more informed decision. How has mindfulness helped you make decisions? Share your thoughts in the comments!